Few years back, who would have thought we would be comparing petrol powered versions of big SUVs like the Land Rover Discovery and Audi Q7. But the NGT (National Green Tribunal's) ban on sale of diesel vehicles with over 2.0 litre engines in the NCR (National Capital Region) has resulted in several manufactures introducing petrol engines on their vehicles. 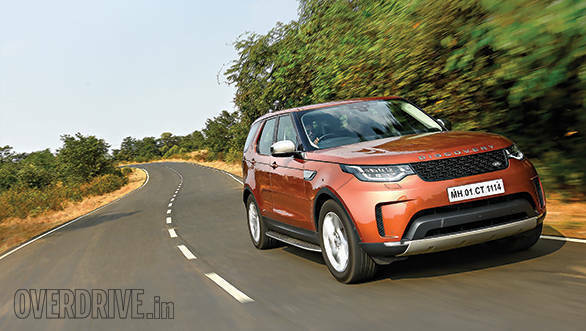 In fact when Land Rover launched the new Discovery in India late last year, they straightaway offered it with both diesel and petrol power plants. 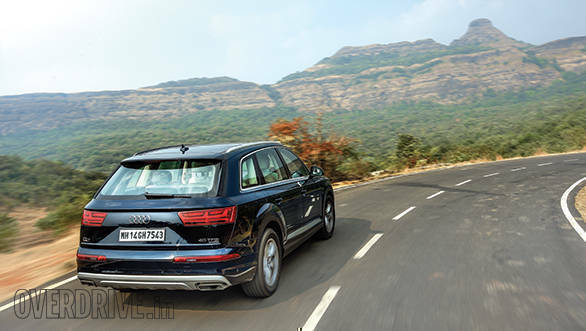 Audi also introduced petrol on its Q7 in India in 2017. The government's fuel policy has also resulted in the gap between the price of diesel and petrol reducing. All this has shifted some of the focus to petrol vehicles and recently we have also been getting queries about how both these popular SUV's stack up. So it's time to put them in the ring. The all new Land Rover Discovery is the 5th generation version and replaced the amazingly successful and popular Discovery LR4. Very honestly, the new Discovery is nothing like its predecessor. In fact it's a completely new vehicle with a novel approach and different attitude. It now has an all-aluminum unibody platform that it shares with several of the Range Rover's, including the iconic Evoque. This aluminum-intensive architecture has allowed the new Discovery to shed some 500 kilograms! Yes, the all new Discovery is almost half a ton lighter than the LR4 it replaced. And it's not just lost weight. The Discovery now has a completely new body design and is no longer the boxy, strong, rugged and practical, go anywhere and do anything, machine. It has cast off its boots and given up its khakis, for a smartly cut stylish suit. Yes, the workmanlike Land Rover Discovery has undergone a metamorphosis, and turned from Rambo into James Bond! While purists and serious off-roaders may not be too pleased with this change, what even they will appreciate is that thanks to the new platform and design, ground clearance has increased by almost two inches. One styling element that I particularly like, are the way the extremely slim fog lights are placed low in the bumper, just below the massive air intakes. This placement is done in such a subtle manner, that the fog lights are almost invisible until they are switched on. Just for this stylishness, I would give full marks to the Design Director Gerry McGovern, and his team. The second generation Audi Q7 was introduced in India in late 2015, and largely retains the looks and lines of the first generation version it replaced. This is not a bad thing actually, because the Audi Q7 despite being a large SUV has always looked sleek and smart. But having been around for so long now, it also looks familiar and the new generation version has done little to change that. Though the Discovery (4,988mm) may be slightly shorter than the Q7 (5,052mm), at 2,220mm it is wider than the Audi (1,968mm). The Discovery is also taller (1,845mm) than the Audi Q7 (1,740mm). The additional width and height along with the Discovery's new Range Rover inspired styling ensure that it has far more street presence. Where the Audi Q7 looks smart but recognizable, the Land Rover Discovery is completely different from its earlier avatar and now has sleek but strong styling. It has an athletic stance and it's 'always ready for action attitude' wins it this beauty contest. If the all new Land Rover Discovery is not the same on the outside, then it's also a completely changed story on the inside. Where the earlier version was all about practicality, ability to take a beating and being ready to get dirty and washed, the new Discovery is really something else. It's styled to please the senses and carry occupants in luxurious comfort and getting it mucky would be the last thing on anyone's mind. Though the all new Land Rover Discovery is now so much plusher, in comparison the Audi Q7 still looks and feels richer. 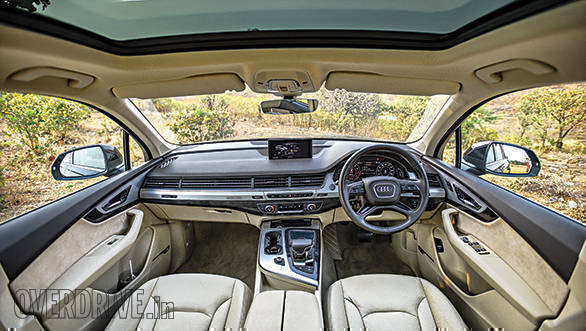 While the Q7 revels in lavishing quality and grandness on its passengers, the Discovery is the more spacious of the two. It also has lot more practical and usable storage spaces and we particularly like the huge cool compartment located in the center console. While both of these big SUVs have seating for seven, the third row of seats in the Discovery is easier to get into and they also supply more space. But the second row, where most chauffeur driven owners are likely to be seated, is more spacious and comfortable in the Q7. 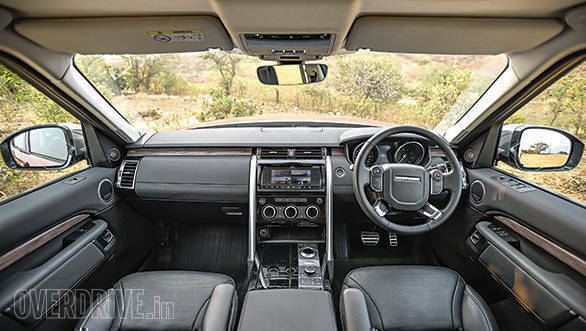 These vehicles have very comfortable front seats, with the ones in the Land Rover Discovery being really wide and particularly inviting. 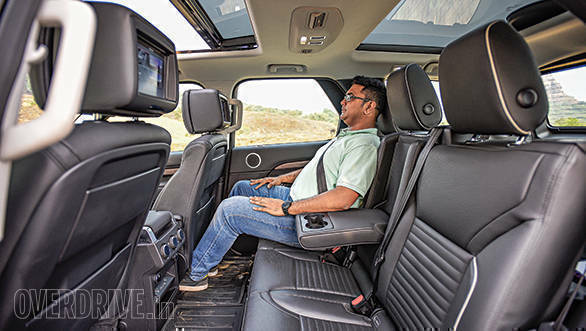 The seats in both are quite high and present a very good view to the driver, but the seating position in the Discovery is somewhat higher and thanks to the well placed A-pillars, sideways vision is also better than in the Audi Q7. 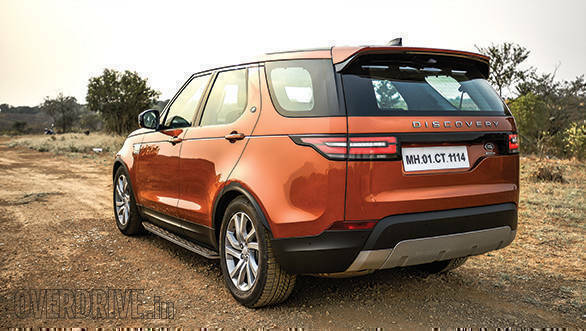 Both cars come packed with features and a long option list, but two crucial factors in selecting the Land Rover Discovery as the winner in this segment, are the spare wheel and boot space. The Audi Q7 now gets a spare wheel, but still only as an option. And it's a space saver that you also have to inflate before it can be used. In comparison the all new Land Rover Discovery comes with a full size spare wheel that is fitted below the floor at the rear. Being an optional accessory, Audi have not completely catered for the spare wheel and it does not have a dedicated space in the Q7. Instead it is mounted vertically on a bracket in the boot. And this substantially eats into the boot space and also affects seating in the third row. The Audi's space saver spare is also cumbersome to use, as it requires to be inflated and even though you get an electric air compressor with it, the entire process takes time and effort. The Land Rover Discovery is powered by a 2,995 cc, supercharged petrol V6, generating 340PS and 450Nm of torque. This is one sweet motor and releases all its horses in a most refined manner. The song this engine sings is also sonorous and often you find yourself pushing down on the pedal, only to increase the volume of this super sounding, supercharged engine. The Audi Q7 is driven by a 2.0 litre TFSI four cylinder petrol unit that has a power output of 240PS, and 370Nm of torque. This is substantially less than the Land Rover Discovery. Interestingly, though both vehicles weigh the same, the difference in performance on the road is not as much as one would expect. Yes, with the two additional cylinders and 87 more horses, you would imagine the Discovery would simply run away. But that is not the case. Surprisingly the Audi Q7 is the better sprinter and gets to 100kph in 7.3 seconds, compared with the Discovery's time of 7.6 seconds! Where the Land Rovers Discovery's additional horses and torque come into play, is in drivability or in gear acceleration. As our figures show, it is consistently faster in these tests than the Audi Q7 which means on the road overtaking moves in the Land Rover Discovery are done in a jiffy. 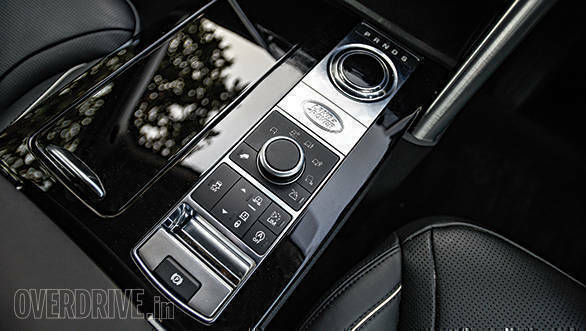 The Land Rover Discovery comes with an 8-speed automatic gearbox and the Audi Q7 also transfers its engine's power to the wheels, via an 8-speed transmission. Both are slick shifting and smooth gearboxes that are quick to respond to driver inputs. Overall refinement levels in both the Audi Q7 and Land Rover Discovery are outstanding and you hardly hear any noise or feel any vibrations. Everything works smoothly and silently, without any sort of disturbance. The Land Rover Discovery has a super ride quality ideally suited for Indian roads and driving conditions. It eats and spits out potholes and bumps, without the occupants getting even a hint of the undulations the Discovery's suspension is taming. The Audi Q7 comes with adaptive air suspension and the Audi Drive Select system with various driving modes like comfort, economy, normal, sport, sportier, etc. If one venture's beyond tarmac and requires additional ground clearance, the Audi Q 7's suspension can be raised by selecting the off-road mode. 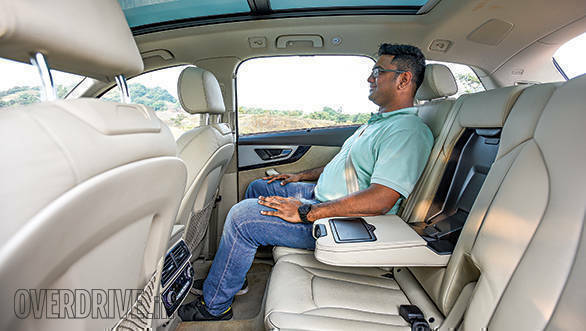 Despite the fact that the Q7 comes with a comfort mode suspension setting, its ride quality compared to the Discovery is on the firmer side, even in this mode. Unlike the Discovery, the Q7 while not being uncomfortable communicates all what it is going over. The high speed stability of both these big SUVs is excellent and the way they grip the road inspires confidence. But the Audi Q7 is the more agile of the two and changes direction and tackles turns in a more pleasing manner. In the sportier modes the Audi Q7's steering reacts more sharply. The grip levels on the Q7 appear to be appreciably better than the Discovery and enable you to carry more speed into and out of corners. The body movement in the Audi Q7 is also lesser and it's while pushing hard that you appreciate this German manufacturers suspension setup choice, of opting for better handling over superior ride comfort. Both these large SUV's are good at shedding speed and their braking work well to rein in momentum. 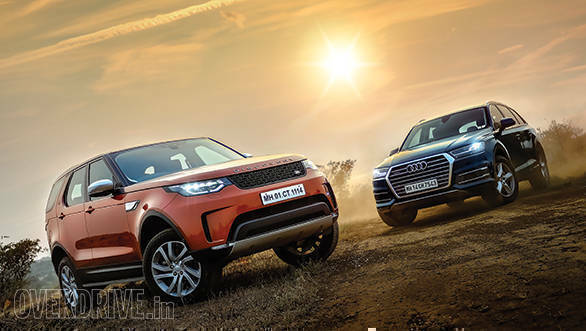 Neither the Land Rover Discovery nor the Audi Q7 swerves or shifts from its selected path even under hard braking, and this is a good thing for such heavy and somewhat tall SUV's. But after putting them through our sustained braking tests, we found that the Audi Q7 takes significantly less time and distance to stop. The Audi Q7 comes with a 4 cylinder petrol and the Land Rover Discovery with a V6 petrol engine. As we have already discussed, the engine in the Discovery is of a much higher capacity and it also makes far more power. 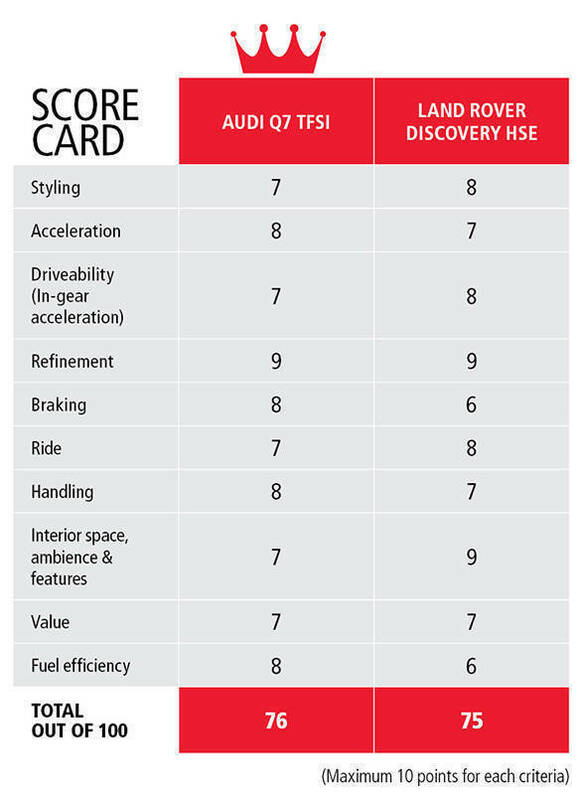 Given this, it is a bit of a surprise that the Discovery is not quicker than the Q7 in outright acceleration. But as one would expect, the bigger motor in the Land Rover Discovery is far thirstier and consumes lot more petrol than the Audi Q7. In fact in our fuel efficiency tests, the Discovery guzzled almost double the amount used by the Q7. This is certainly not something most Indian owners would be comfortable living with. As far as getting the most for your money is concerned, the cost of the Audi Q7 is lower than that of the Land Rover Discovery. The Q7 is also far more fuel efficient. But the off-road ability provided by the Land Rover Discovery is a great deal superior. 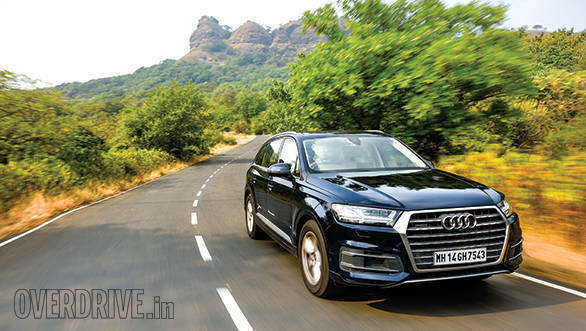 Sure the suspension in the Audi Q7 can be raised to increase ground clearance and it also come with the proven and sure-footed Quattro all-wheel drive system. However, the Land Rover Discovery is still in a class by itself when it comes to off-road or all-terrain ability. With its electronic height adjustable air suspension that gives 283mm of ground clearance, and Land Rover's tried and tested 'Terrain Response System', the Discovery is able to venture a good deal deeper into the bush than the Audi Q7. And let's not forget, it's one of the few SUV's left in the world that is still available with a twin speed transfer case with both high and low range, which allows you to change the gear ratios and shift the torque lower down when the going gets really tough. The Land Rover Discovery also has a wading depth of 900mm, and I am told its limited to this because if it went any deeper into the water, it would possibly float! Yes, when it comes to flexing muscles in the mud, and off-road ability, the Discovery is far more accomplished than the Audi Q7. 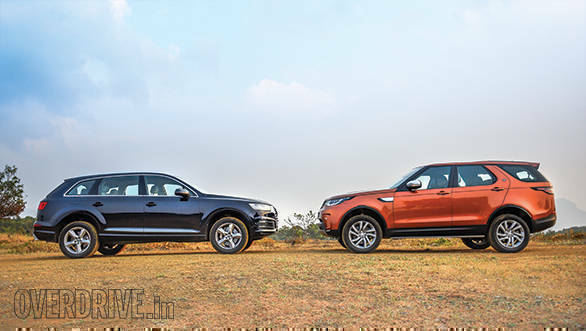 The Audi Q7 wins this contest against the all new Land Rover Discovery by the narrowest of margins, of just one point. 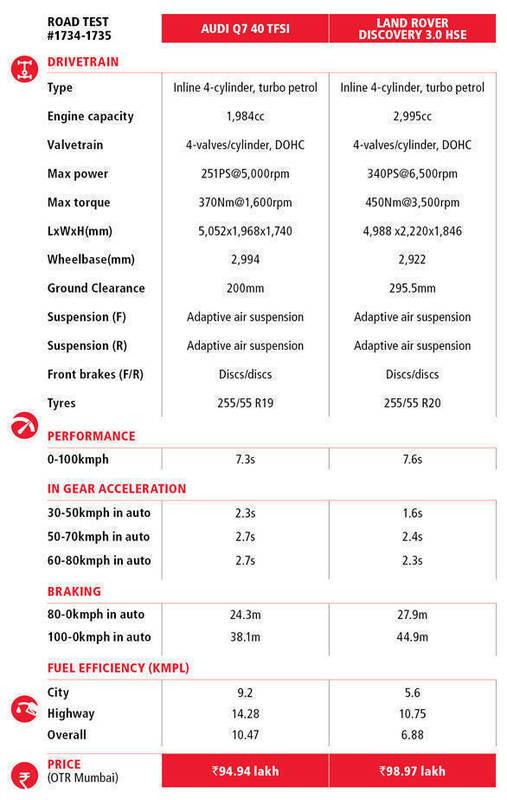 Mainly because of its superior braking, handling and fuel efficiency. But should one overlook the Discovery's better ride comfort, space, full size spare wheel and the far finer off-road abilities. Well the fact is most customers of such luxury SUV's will mainly use them on paved roads and hardly ever venture beyond where the tarmac ends. In such a scenario, the Audi Q7 is surely a better choice. But in case a customer wants to continue enjoying life even where the paved paths end, the Land Rover Discovery makes a strong argument for itself.